If it’s Friday, it must be my day to create some content. Marketers are busy planning, creating, optimizing, and analyzing, and for many of us, creating content is just one of many things on our to-do lists. We’ve all seen the stats that reveal B2B marketers are spending more time, budget, energy, happy hours, hackathons, and puppy time on content. But to what end? It’s great to have that fabulous piece of content to attract readers (or more often than not, downloaders), but what happens next? Those big download numbers you’ve been getting don’t count for much. And if you are being honest, you, your team, and your boss already know that. Most of those people are not ready to have a sales conversation. Many of them are not even interested in your products or solutions. 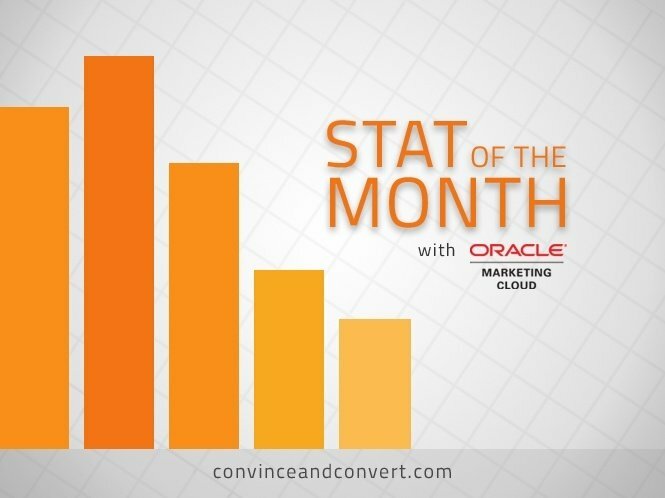 68% of B2B marketers say that increasing conversion rate is their leading objective for lead nurturing, according to a December 2015 study by Ascend2. That means marketers want more people who download their content to become marketing qualified leads. For some of those prospects, it is never going to happen. They may love your content, they may read it and even share it, but they just don’t fit your profile of ideal customer. You can segment them as “content advocates” and keep feeding them your content, but don’t expect them to ever convert. But for many of these prospects, it’s just the timing that’s wrong. They could be the right person at the right company, but they are just not ready to have that dreaded conversation with an inside sales person. This is why so much of the buyer’s journey is now digital. Buyers continue to educate themselves with the content you are producing. There are many factors that make up a marketing qualified lead, both explicit (like company, job title, and the need to solve a problem) and implicit ones (visits to your website, blog, and downloadable content). If you have the right marketing automation tools in place to track all of this, you will know not only if they are the right person, but also that is it the right time. Send them a series of relevant content based on what you know about them. That’s what this marketing technology allows you to do. Provide some value as you are building the relationship with this prospect. You know they are not ready for sales, but you do know they responded to your content. Send them more. Here’s one final stat that is at odds with the one above: 59% of B2B marketers say that creating relevant content is their most challenging obstacle to successful lead nurturing. This is not just a challenge for lead nurturing, but for all your content needs. You need to change your attitude, allotted time, workload, or even your socks to put yourself in a content mode. This is not an optional process. While it is easy to find companies struggling with content, there are plenty that are doing a good job. Emulate the content and tactics you respond to. If you are reading this blog, it is because you understand content marketing is important, and you want to improve your results. The more you understand your prospects, the better your opportunity to resonate with them. This also allows you to experiment with different delivery mechanisms. Here are few recent, personal examples. I tested the gated versus ungated ebook approach by releasing a full ebook for free on Slideshare with no registration required. It pointed to a gated asset. The two of them together were part of our most successful campaign of the year. Now, I am creating a series of short content pieces specifically for a nurture campaign. These are meant to educate our readers about the ideas behind our products. They are not about our products. It is the type of content that prospects might seek out in their journey, but we know about their interests, and we can feed that. These content pieces will not appear on our blog. They won’t be shared on our social channels. They are for this specific nurture. It’s important, so I am finding the time to write them. Create all the content you can, and push it out over every channel you’ve got, but focus on getting some of that content in front of people who have already told you that they are interested. You’ve got the technology—now it’s time to put it into action.